I’m actually not swimming. I’m tall enough to just stand here like this. This is Swimming Pool #6. It is the biggest and bestest pool yet! 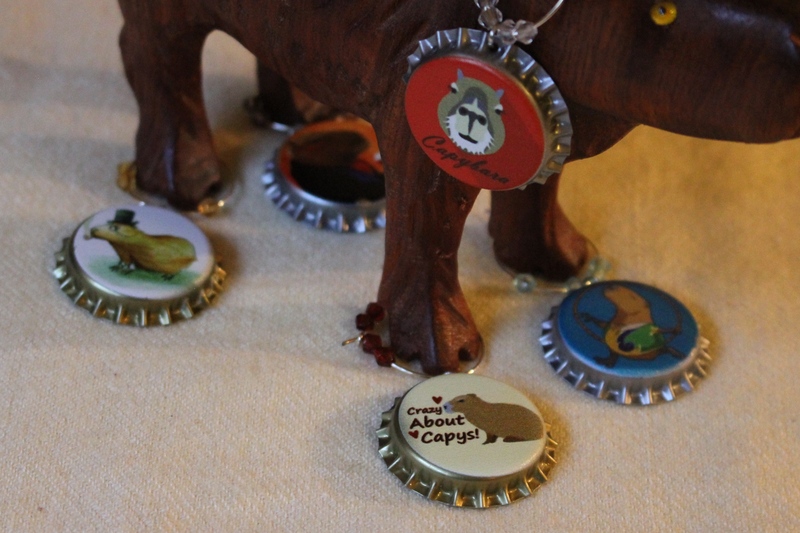 The capybara in the moon. This fabulous backdrop for some of my more recent photos is my old swimming pool, AKA #5. I actually did swim in it three times but I also really did hate it. My fish weren’t too happy in it, either, though the heron seemed to like it real well. The back yard turns into a mudhole in winter. I thought Swimming Pool #5 was just going to stay like this forever. Winter was turning to spring, the grass was starting to grow, and that old tin can was still there. All of a sudden one day, I was trapped on the kitchen deck and the tin can started to move! It didn’t really move by itself. It started to roll away like a giant hamster wheel! It is very distracting and I have forgotten about my corn. The tin can is moving toward the aviary. It is too big to go through the aviary gate. It’s a big tin can. They cut a hole in the top netting of the aviary because the tin can has to go up and over. This is going to take a while. I better get comfortable. If they drop it, the seams could bust and then it would leak. The three stooges didn’t drop it. They have to fine-tune the space for it. The pool is set into the hillside. I still can’t bite the edge. There is a hose filling it with water. I can bite this hose, though. There are a few steps. Ducks have short legs. Taking a break to mark this shirt! It takes a long time to fill the duck pond. It’s like waiting for paint to dry. This is all very interesting, but I’m still not going to swim in it! Fine, it’s full. Now what? I used to love to barge in here and swim in the duck wading pools. This is a little intimidating. The chickens and I do NOT approve! I know where there is a muddy but warm wading pool! Just my size, and the water is thick and warm! Dobby, you are one cool dude.